The 2017 Relay for Life of Plant City will be held Friday, April 21. As Shanna Kennedy knows, cancer touches everyone. When the third grade teacher at J.S. Robinson Elementary was a baby, her father had melanoma. He survived, but cancer found its way to her family members. To her brother, through melanoma. To her mother-in-law and grandmother, through breast cancer. Kennedy has been volunteering with Plant City’s Relay for Life for about 17 years. After serving as chair 15 years ago, she’s back in the lead this year for the annual event. This year’s Relay for Life will be held Friday, April 21, at Plant City High School, 1 Raider Place. A total of 62 teams have signed up for the 2017 event. Activities: Mr. Relay, Survivor Lap, Road to Recovery Race, Luminaria Ceremony and more. More: For a full schedule of events, visit PlantCityObserver.com. She has support from fellow teachers, students and families at Robinson Elementary. 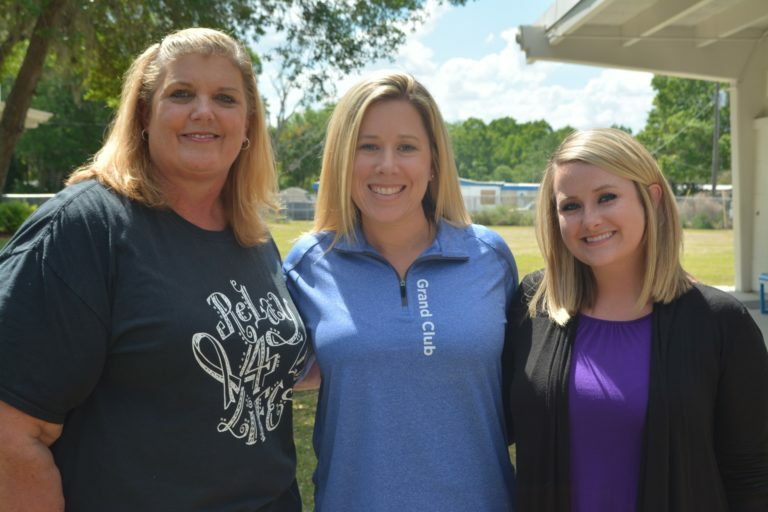 The school has raised close to $6,000 so far, and the Plant City Relay for Life has raised a combined total of $101,161.92 of the $260,000 goal. Sponsorships are still being accepted. Joining Kennedy for assistance organizing the event is fellow Robinson teacher Karissa O’Neill, who became involved after raising money for St. Jude Children’s Research Hospital while in college. Like Kennedy, she has had multiple family members affected by cancer. The women are also being assisted by former event leads Linda Herman and Joanie Petty, both of whom are teachers at Knights Elementary School. While regular Relay events will be making a return — including team laps, the pennant contest and the luminaria ceremony — this year, event organizers have introduced the Little Miss and Mr. Relay Pageant. Open to kids between the ages of 4 and 11, the casual wear pageant contest is divided into two age categories. One girl and one boy will be crowned in each division. The pageant, which has a $25 entrance fee, will be accepting participants through the day of the event. Former event lead Petty was the one who came up with the idea. In addition to the pageant, the event will include bounce houses for kids, food, games, raffle baskets and dunk tanks. All funds raised will be added toward the fundraising efforts. Following the opening ceremony at 6 p.m., the Little Miss and Mr. Relay Pageant will be held at 7 p.m. The annual luminaria ceremony will follow at 9 p.m.
For the organizers, the event goes beyond promoting a night of activities.